Providing care to loved ones presents specialized challenges to family members. Physicians must familiarize themselves with basic information to offer caregivers who seek assistance and solutions. Whether you've observed the increasing prevalence and you're totally aware, or you haven't noticed or given it much thought, you probably have a growing number of patients who have taken on the role of caregiver for a family member or friend. • Approximately 21% of US households are impacted by caregiving responsibilities. • The typical caregiver is a 46-year-old woman with some college experience, who provides more than 20 hours of care per week to her mother. • Many caregivers have reported difficulty finding time for themselves (35%); managing emotional and physical stress (29%); and balancing work with family responsibilities (29%). As a primary care provider, you likely feel more prepared to manage patients' diabetes, hypertension, and preventive care needs than to help patients address the wide range of physical, emotional, and spiritual impacts caregiving can produce. It's also likely that patients have come to you with a broad range of challenging questions about the specialized care of the family member who is the focus of their attention. They may ask: How do we hire someone to help with Mom? Is it time for an assisted living facility? Should Dad continue to drive? Do we need to draw a power of attorney? Is it time for hospice? It's important for providers to familiarize themselves with basic information for caregivers, keep printed handouts available for distribution, and/or share with caregivers as it becomes clear you're working with them within your practice. Unfortunately, family caregivers haven't received training in caregiving. They will be immensely grateful for your input. A survey by AARP showed a high caregiver interest in receiving advice from physicians. As the medical provider for a family caregiver, one of the most important things to recognize is that caregivers will often ignore their own needs and desires in their efforts to care for a spouse, parent, or other family member. This selfless group, deservedly the focus of admiration for their devotion, commit their time and energy to caring for loved ones with chronic illnesses such as congestive heart failure, stroke, diabetes, or Alzheimer's disease and may need assistance over many years, often with increasing needs over time. The health implications, especially when long-term caregiving is required, can be serious. Keep in mind that some caregivers will be elderly spouses with their own increased risks for illness or age-related functional decline. Younger caregivers, such as adult children, may have the added complication of needing to balance the demands of their own work situations or family responsibilities with the needs of an ill parent. Caregiving creates a chronic stress state, and the impact of chronic stress on the body, both physically and emotionally, is well documented. The emotional stresses of serving as a family caregiver can include grief, sadness, a sense of loss, anxiety, anger, and conflict. Aspects of physical stress include caregivers' reports of physical strain, sleep deprivation, and fatigue. Research into the impact of caregiving has proven even more worrisome. In the Caregiver Health Effects Study, researchers examined relative mortality rates between caregivers with strain and noncaregivers. Higher mortality risk has been shown among elderly caregivers when compared with noncaregivers. Flight attendants are right: When a crisis strikes, it's vital for the most able-bodied to first secure themselves and ensure their own well-being. Only then can they effectively help those in need. If the family caregiver becomes ill, who will care for the patient? Remind caregivers often to first care for themselves. A full explanation of how and why family caregivers need to care for themselves appears in Take Your Oxygen First: Protecting Your Health and Happiness While Caring for a Loved One With Memory Loss. Although it is written about a family member facing Alzheimer's disease and the associated caregiving concerns, the main message and many of the lessons in the book are universal. All caregivers can benefit from the book's recommendations. • Encourage an annual physical examination and preventive care update. Carefully review all necessary cancer screens. • Advise caregivers to complete all appropriate vaccinations, especially the flu vaccine. Remind patients of the importance of receiving the flu vaccine as soon as it's available each season. A study showed delayed immune response among caregivers compared with noncaregivers.4 Encourage caregivers to be at the front of the line each fall. • If possible, identify family caregivers within your electronic medical record so you can provide annual reminders for their physical examinations. Make sure they are not giving their appointment time away to the family member for whom they are caring. Additionally, if the caregiver is hospitalized or in need of testing that may impact the ability to care, ask about the needs of the family member who requires care. For patients or families with financial resources, there are often local professionals such as aging life care professionals, case managers, or care managers, who can intervene and help to ease the burden of caregiving. These paid professionals' activities typically include finding in-home providers, helping with medication management, choosing the right assisted living facility, arranging transportation, accompanying patients to medical appointments, helping to find specialists, and other activities geared toward patients' particular needs. In most communities, the independent professionals listed above can help. These professionals provide personalized assistance and help to arrange care according to specific needs. They are often registered nurses or social workers. In some situations, long term care insurance may include the services of a geriatric care manager or will allow funds to be used to cover associated costs. Find a professional by starting the search at www.aginglifecare.org. It's important to note that local hospitals may have employees whose titles are case or care mangers and who assist patients while they are in the hospital. Typically their services do not extend to the home setting. Regardless of your patients' caregiver circumstances, remain vigilant in identifying caregivers who can benefit from your support and encouragement. — Rosemary Laird, MD, MHSA, AGSF, a geriatrician, is executive medical director of senior services for Florida Hospital at Winter Park, and past president of the Florida Geriatrics Society. She is a coauthor of Take Your Oxygen First: Protecting Your Health and Happiness While Caring for a Loved One With Memory Loss. 2. Schulz R, Beach SR. Caregiving as a risk factor for mortality: the Caregiver Health Effects Study. JAMA. 1999;282(23):2215-2219. 3. Caregiving in the U.S.: executive summary. National Alliance for Caregiving website. www.caregiving.org/pdf/research/CaregivingUSAllAgesExecSum.pdf. Updated November 2009. 4. Kiecolt-Glaser JK, Glaser R, Gravenstein S, Malarkey WB, Sheridan J. Chronic stress alters the immune response to influenza virus vaccine in older adults. Proc Natl Acad Sci U S A. 1996;93(7):3043-3047. Besides caring for themselves, caregivers can benefit from taking advantage of some key resources available to them. It's helpful to become well informed in various aspects of caregiving. None of us had Caregiving 101 in high school, so who knows how to be a family caregiver? No one. It requires the ultimate on-the-job training. • For basic family caregiving of an elder, see How to Care for Aging Parents: A One-Stop Resource for All Your Medical, Financial, Housing, and Emotional Issues by Virginia Morris (http://tinyurl.com/pz6vdo9). • Caregiving requires preparation; for information about advance directives, including living wills and power of attorney documents, you can recommend Five Wishes (www.agingwithdignity.org/five-wishes.php). Five Wishes, fully accepted in 42 states and the District of Columbia, helps walk patients and families through the key issues involved in aging as well as approaching the end of life. In states that do not accept Five Wishes, it is still a valuable tool for discussion and decision-making. • Local hospitals typically have materials for patients and families to review. There are a number of disease-specific resources. A good example for a caregiver dealing with Alzheimer's disease is Coach Broyles' Playbook for Alzheimer's Caregivers (www.broylesfoundation.com). Written by a loving husband and family caregiver who was also a coach for the University of Arizona football team, it offers practical advice for day-to-day caregiving needs, provided by a caregiver who has been in those shoes. For other illnesses, caregivers can consider checking sites of national disease-specific associations. Most now provide caregiving support as well. Such sites include heart disease/stroke (www.heart.org), diabetes (www.diabetes.org), and arthritis (www.arthritis.org). For general medical information, Web-based resources can be very helpful for busy caregivers, but remind them that the Web has become a marketplace, so it's important to analyze and filter information appropriately. I tell family caregivers to never, ever Google anything related to health care or medical issues. The first three to five items listed are almost always ads. For general medical information, I recommend www.mayoclinic.com, which is relatively free from excessive commercialization. In my experience, this site has been the most helpful and least harmful to family caregivers. 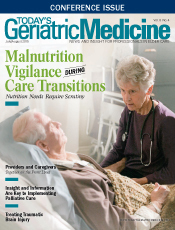 The Mount Sinai Focus on Healthy Aging newsletter (www.focusonhealthyaging.com), produced by Mount Sinai Geriatrics is the US News & World Report No. 1 program, and for good reason. The $20 annual subscription fee enables access to highly relevant and sound geriatric medical and lifestyle advice. Consider a subscription for the office. For many questions relating to the needs of older adults living in their own homes, the first phone call can be to the local Area Agency on Aging. Every county in the United States has a responsible agency charged with supporting the quality of life of community-dwelling elders. On www.eldercare.gov, use a basic zip code search to identify an Area Agency on Aging. For many information seekers, this is the best first step for general assistance. While many programs are based on financial need, some are based on a patient's frailty level. Though various agencies vary and all programs are administered under specific requirements, services can include a home care program; nutrition programs, such as home-delivered meals, congregate meals, and nutritional counseling; a family caregiver support program; adult family care; a personal care management program; a money management program; home modification; congregate and supportive housing; a nursing home ombudsman program; options counseling; respite; and information and referral. With an aging baby boomer population and increasing numbers of childless and unmarried older adults, nearly one-quarter of Americans aged 65 or older are currently or are at risk of becoming elder orphans, a vulnerable group requiring greater awareness and advocacy efforts, according to new research by a North Shore-LIJ geriatrician and palliative care physician. A case study and literature review by Maria Torroella Carney, MD, chief of geriatric and palliative medicine at North Shore-LIJ Health System, zeroes in on staggering data on the prevalence and risks associated with elder orphans. "We have a sense that this will be a growing population as society ages and life expectancy increases, and our government and society need to prepare how to advocate for this population," says Carney, senior author of the research, which was completed in collaboration with colleagues from the health system and Hofstra North Shore-LIJ School of Medicine. "There is potentially no structure to address this population as this population is hidden right before us," adds Carney, who derives the term elder orphans to label the population that is aging alone and unsupported, with no known family member or designated surrogate to act on their behalf. "Our goal is to highlight that this is a vulnerable population that's likely to increase, and we need to determine what community, social services, emergency response, and educational resources can help them." Carney and her team highlighted the case of HB, a 76-year-old man living alone who presented at North Shore University Hospital in Manhasset, New York, for a multidisciplinary approach to his pain and suffering after his failed suicide attempt. With his only existing family living in California, HB's case was complicated and prolonged by delirium, unclear decision-making capacity, and a lack of social support. He was discharged to a nursing facility for what likely would eventually become long-term placement. US Census data from 2012 showed that about one-third of Americans aged 45 to 63 are single, a 50% increase from 1980; nearly 19% of women aged 40 to 44 have no children, as compared to 10% in 1980. Additionally, the University of Michigan's Health and Retirement Study indicated that 22% of people aged 65 or older currently are or are at risk to become elder orphans. This group is vulnerable to a wide range of negative outcomes that include functional decline, mental health issues and premature death, Carney says. "This is a population that can utilize expensive health care resources because they don't have the ability to access community resources while they're well but alone," she says. "If we can provide earlier social services and support, we may be able to lower high health care costs or prevent the unnecessary use of expensive health care. With greater awareness and assessment of this vulnerable population, we can then come up with policies to impact and manage better care for them."